Beginning in 1956 a group of women transformed the eyesore at the corner of Duvall Drive and Elliott Road - - filled with trash, weeds and poison ivy -- into today's beautiful Corner Garden. Club members raised money and cleared the land, planted trees and shrubs on the hillside, seeded the lawn, and added a brick path. Members have continued to enhance the garden adding stone benches as well as perennials and annuals. The nurturing of the Corner Garden remains the club's primary function. 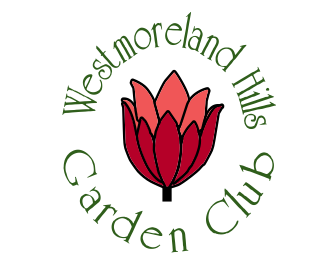 We also maintain the Jamestown Creek Wild Plant Sanctuary (across from the Corner Garden); sponsor an annual cleanup of Little Falls Creek with Montgomery County; and host the popular annual Garden & Gourmet Sale. 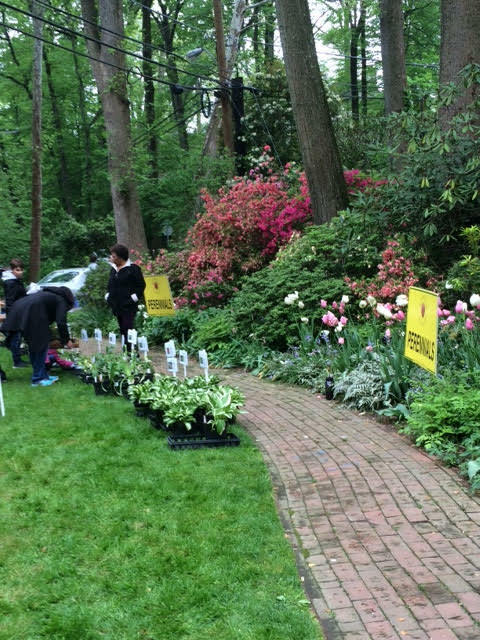 Proceeds from the Garden & Gourmet Sale maintain the Corner Garden and the Wild Plant Sanctuary. We contribute surplus income to conservation and gardening efforts throughout the area. 1962-63 Mrs. Burr N. Johnson, Jr.
1994-95 Mrs. Robert L. Walsh, Jr.